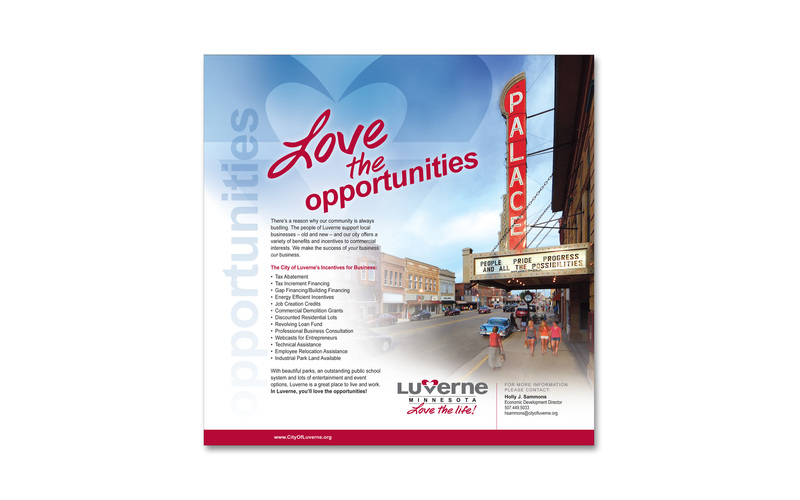 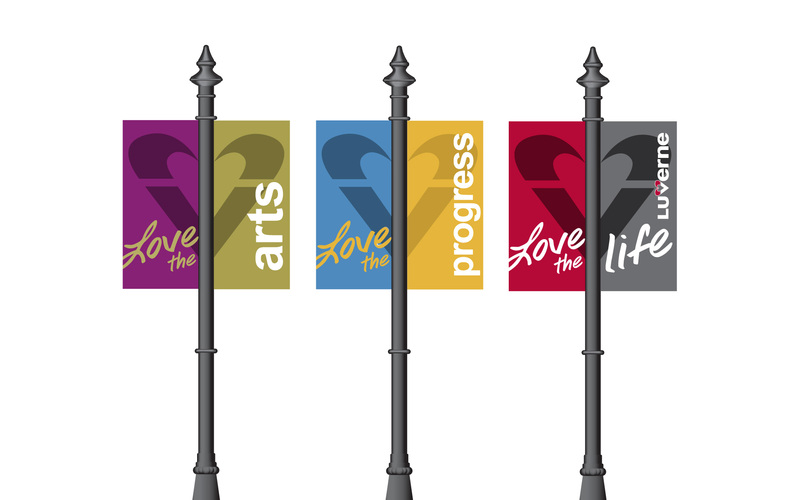 When the city of Luverne came to us with a need to update their image to appeal to families, businesses and visitors, we had a long talk with city leadership to learn all we could about the things they love about their city, then we used these competitive advantages to create a revitalized brand including a logo, banners and a marketing strategy to help them keep their best face forward. 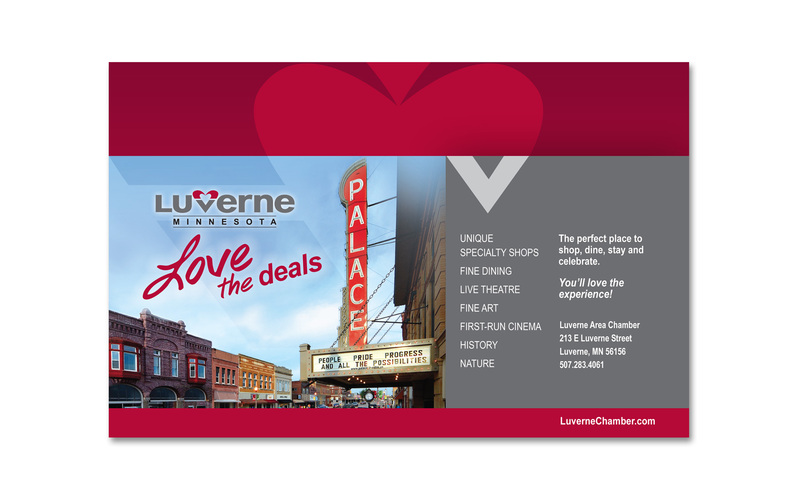 Love the Life tells Luverne’s story, defines what makes it special and rallies the community to action. 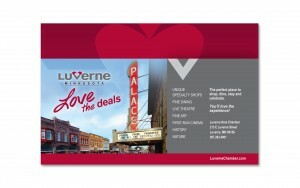 There’s a lot to love in Luverne, and now people know it.